INTENSAS NOCHES DE FIESTA POR TRANSNOCHARME CUIDANDO A MI HIJO ENFERMO. 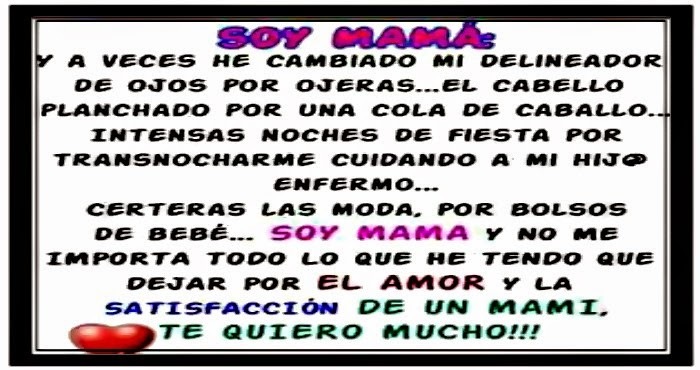 CERTERAS LAS MODA, POR BOLSOS DE BEBÉ... SOY MAMÁ Y NO ME IMPORTA TODO LO QUE HE TENIDO QUE DEJAR POR EL AMOR Y LA SATISFACCIÓN DE UNA MAMI, TE QUIERO MUCHO!! !